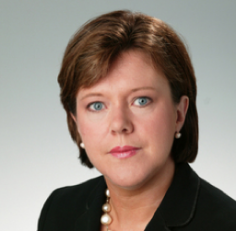 Recent polling by Survation on behalf of the Mail on Sunday looked at public opinions towards Maria Miller. This is not the first time a Conservative cabinet member has been hit by a scandal, but Miller’s case is interesting not just because of the strength of public animosity towards her transgressions, but also because of where that anger is coming from. You might expect that the party faithful will rally around when one of their own is under attack, while political opponents, scenting blood in the air, take advantage of the crisis to try and claim a high-profile scalp. However, we found that Conservative and Labour voters are calling for Miller to resign from the cabinet in equal numbers – both at 82%, and higher than the overall average of 78% (see table below for the views of Conservative voters on whether Miller should resign from the Cabinet). The Lib Dems are slightly more forgiving, with 76% thinking Miller should no longer be in the Cabinet. More or less the same pattern can be seen in those who want Miller to resign as an MP: 66% of Conservative voters and 69% of Labour voters think she should go (and 58% of Lib Dems). Miller’s harshest critics, though, are UKIP supporters – 84% think she should resign from the cabinet, and 81% want her to stand down as an MP. This is not just about party loyalty, though: only 44% of Liberal Democrat voters thought he should resign. Perhaps Lib Dems are just more forgiving than others, but this might also be about Conservative-Labour rivalry. Of course, subsequent events have put the ‘Plebgate’ incident in a new light, but the absence of support from Conservative voters clearly compounds Miller’s problems. In fact, further polling by Survation on the Miller scandal suggests that the Conservatives’ electoral prospects are being threatened: we found that 47% of the public – and 34% of those who voted Conservative 2010 – are less likely to consider voting Conservative in the next general election as a consequence of the Miller expenses episode. Perhaps most worrying for Cameron is that only one fifth of Conservative voters think the Prime Minister is right to stand behind Miller and let her keep her job. Nearly 3 out 4 Conservative voters think he has taken the wrong stance. What’s more, the same proportion of the otherwise more forgiving Lib Dems also think Cameron is wrong to stand behind Miller. The Conservative-Labour split is also more apparent here, with more than 4 out of 5 Labour voters critical of Cameron’s decision to back Miller. Our more recent poll confirmed this critical attitude of the public towards Cameron: only 15% agreed with the statement that Cameron has displayed effective leadership by supporting Miller, and less that 1 in 4 of those who voted Conservative in 2010 thought this was the case. More than half of those asked disagreed that Cameron has displayed effective leadership. Once again, Miller seems to be in a worse position than Mitchell was when it comes to the support of her own party. We found that in Mitchell’s case, more than half of the public thought Cameron should have sacked him straight away but there was a sharper split along party lines – 44% of Conservative voters compared to 72% of Labour voters were in favour of his immediate removal from the Cabinet – far larger than the gap between Conservative and Labour voters who think Cameron is wrong to let Miller keep her job. So while Cameron is sticking with his support for Miller for now, he is not winning any plaudits from his supporters for doing so. Mitchell eventually had to go, and if Miller survives this scandal, it won’t be because she has the backing of Conservative voters.